Learn about our Friends and Family program and earn $250. Click here for details. 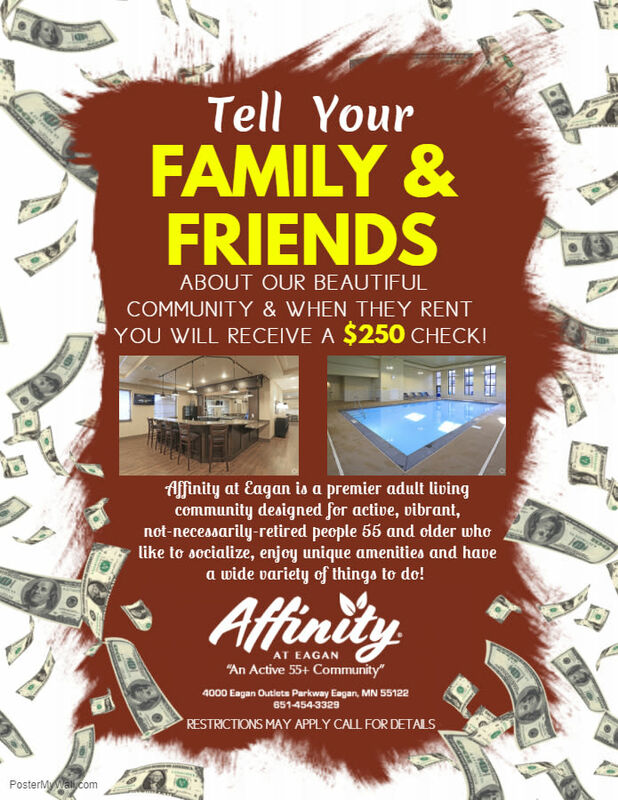 At Affinity at Eagan, we’ve created a community for those who aspire to live their best life, each and every day. 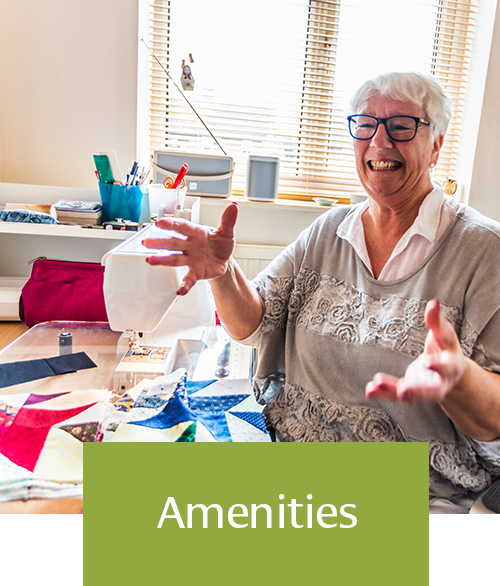 The premier 55+ community offers luxurious studio, one, and two bedroom apartments for rent in Eagan with delightful interiors and community amenities that inspire. On a daily basis, enjoy what feels like a permanent staycation, complete with 30,000 sq. ft. of extra living space. 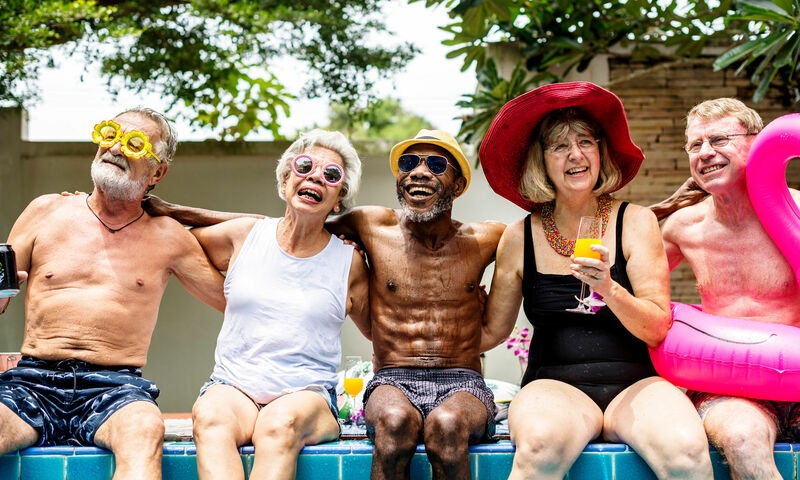 Whether you choose to take a dip in the sparkling swimming pool, relax in the spa, get your heart rate going at the fitness center, or enjoy a bite and a brew at the onsite Dilly Dally’s Pub, opportunity awaits at Affinity at Eagan. Beautiful studio, one, and two bedroom floor plans to choose from. Feel pampered inside your home and in your community. Premier shopping, dining, and entertainment are within reach. Spend your days in our community as you wish. Are you looking to kick back and relax? Visit the swimming pool and spa, movie theater, or library. Ready to get some exercise? Take a trip to the fitness center, play a round of virtual golf, or venture to the game room. Feeling social? Check out Dilly Dally’s Pub or the Internet Café, or barbecue with friends at the outdoor BBQ and fire pit area. Our pet-friendly community even has a dog run, perfect for a good old-fashioned game of fetch. And when it comes time to venture out, you’re near the best shopping, dining, and entertainment in the area, including the Mall of America, the Minnesota Aquarium, and Twin Cities Premium Outlets. "Affinity at Eagan -- I love it! I sold and moved into a rental after 35 years. It surpassed my expectations with the amenities and sense of space. The community is welcoming and the management team is superior. It feels like a luxury hotel, not an apartment building. I call it my "cruise ship" on land. Winter in Minnesota -- Bring it on!" 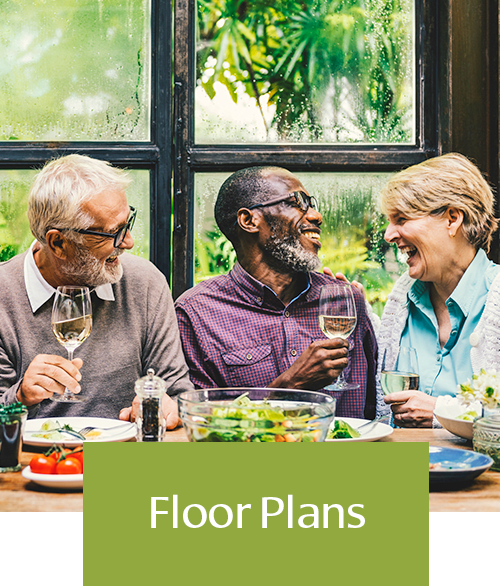 Our brand-new 55+ community in Eagan offers the best in luxury apartment living, full of simple conveniences, comforting interiors, and an ideal location. 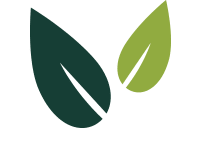 With low rents and one monthly check that covers it all – including utilities – you’ll find the time and money you need to explore as you wish and enhance your lifestyle. 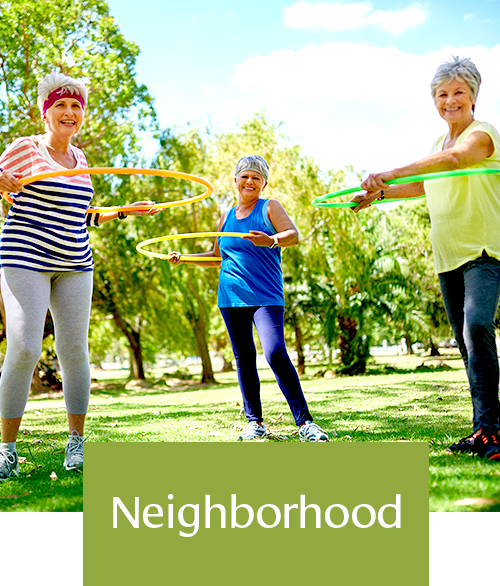 When you choose to call Affinity at Eagan home, you’ll feel a sense of community with a healthy dose of independence. Start living your best life today. 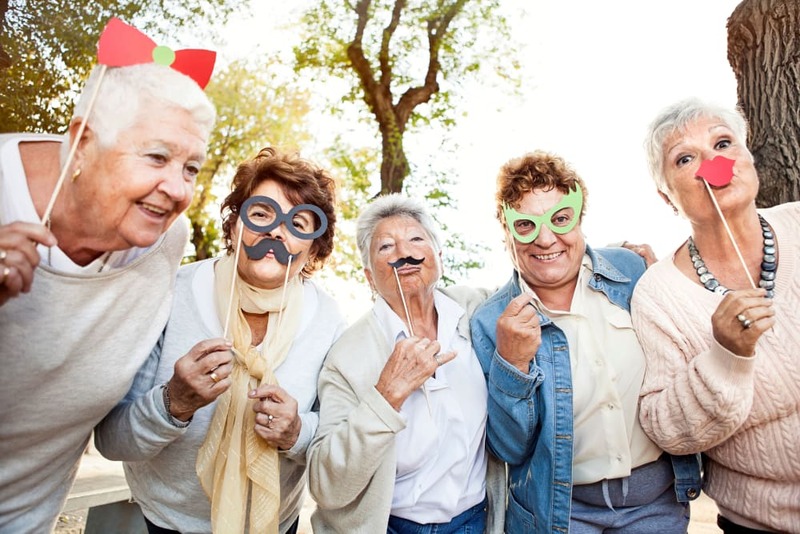 Affinity is for the 55+ who want to change the conversation.